Its getting delivered next week and i cant wait. I went to view it on sunday and its everything i could have wished for. Big thanks to Gavin Roe for being 100 percent honest and true to his word about this car. I have been waiting so long for it to get here from the states and Gavin to add his finishing touches to it. He advised me to keep the door decals on but i havent made my mind up yet. Just curious as to how many there may be in the UK? Hi m8 I own one of these bought it about 3 months ago and loving it. I too have been looking for a while and finally got one with 8000 miles on. Had to use stock photos as mine are too large. PAZ9556 wrote (View Post):Hi m8 I own one of these bought it about 3 months ago and loving it. 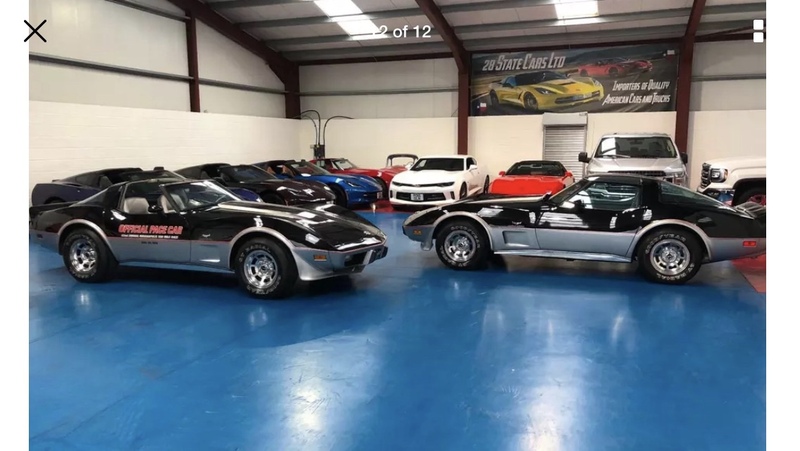 A couple of very nice looking Pace Car replica's there! Welcome to the "world of '78's" Nosher. I see you car has an NCRS sticker in the windscreen, probably why the door decals are not applied - they came from the factory in the cubby hole in the back, for dealer application. My advice, leave them off, that retains the originality, which is important on such a car. 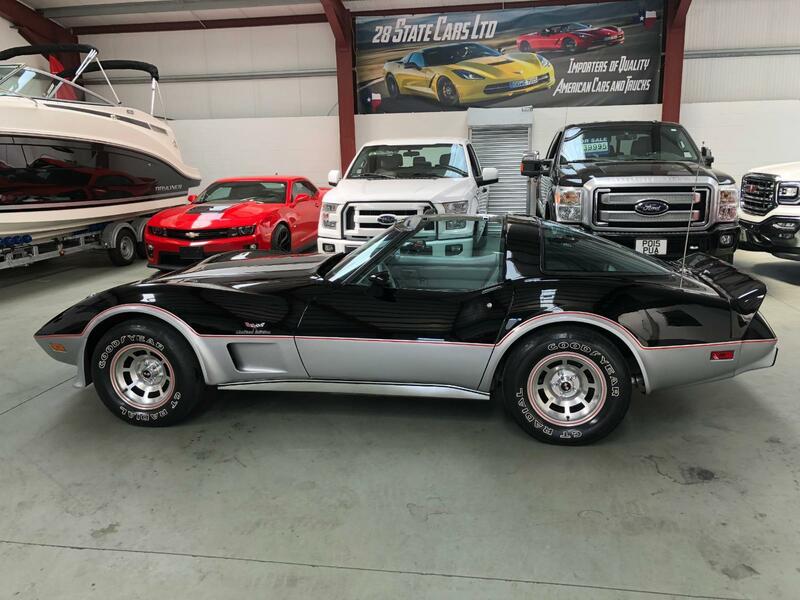 There's an interesting article on the '78 Pace Cars in the October edition of Corvette Magazine, co written by the 1978 guru, Tom Russo..
What does NCRS stand for? I payed up my membership yesterday so will that give me access to the October magazine when its aproved? I’ve seen the light C2 way to go! Hi has your pace been restored at all or is it original,mine is no 2170. Here’s a photo of those low mileage ones ,one with stickers one without . Nosheruk wrote (View Post):Hi Stephen. Yes, as said, National Corvette Restorers Society. An organisation that tends to come in for some "flak" from people, mainly those who don't know anything about it Basically the largest Corvette club in the world, which has spent years compiling manuals for each year Corvette detailing exactly how they appeared when they left the factory and, helping members restore their cars to a "from the factory appearance", or to keep an original "survivor" car original. A fabulous source of information about the cars and if you get into the judging side, a lot of fun. And teh cars don't need to be "Trailer Queens either! In your case it might be worth getting hold of a copy of the '78 Judging Manual as it'll tell you masses about the car, how it works and how it was built. You don't need to be a member to get the manuals, by the way. Thanks for the inf Stephen. Is there any way i can access the October magazine? 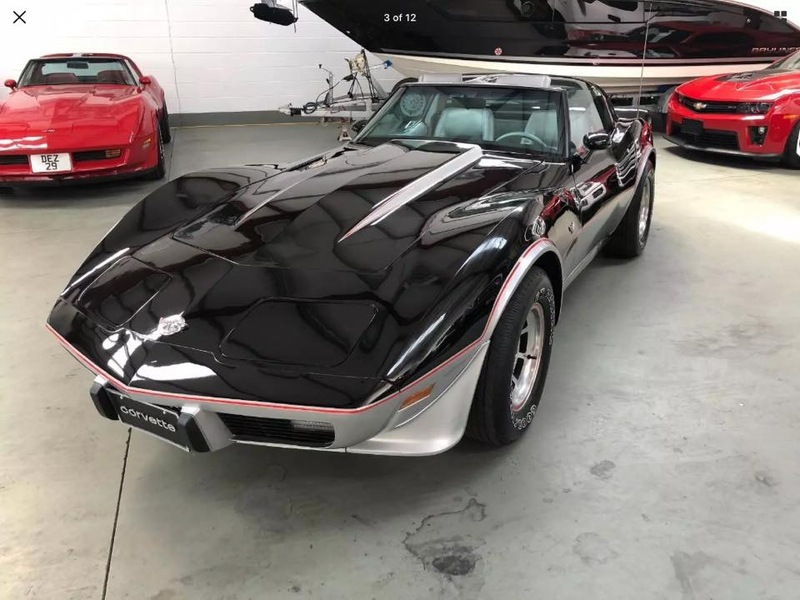 Very nice looking '78, one of my favorites. Best of luck with it, it's a looker.